These two soy products appeared in or local store recently. Larger bottles were also available, but I thought these cute little 250ml sized ones would be perfect for sampling purposes. Although manufactured in the US, the label on one bottle notes that the Amano family has been brewing since 1939, so whether they began to make soy sauce in that country, or else started in Japan and then later relocated is unclear. The ostensible difference between the two is that the green labeled one is made without any wheat. Otherwise, both ingredient lists are limited to water, soy beans, salt and brewing starter (except for the addition of alcohol in the black labeled type). 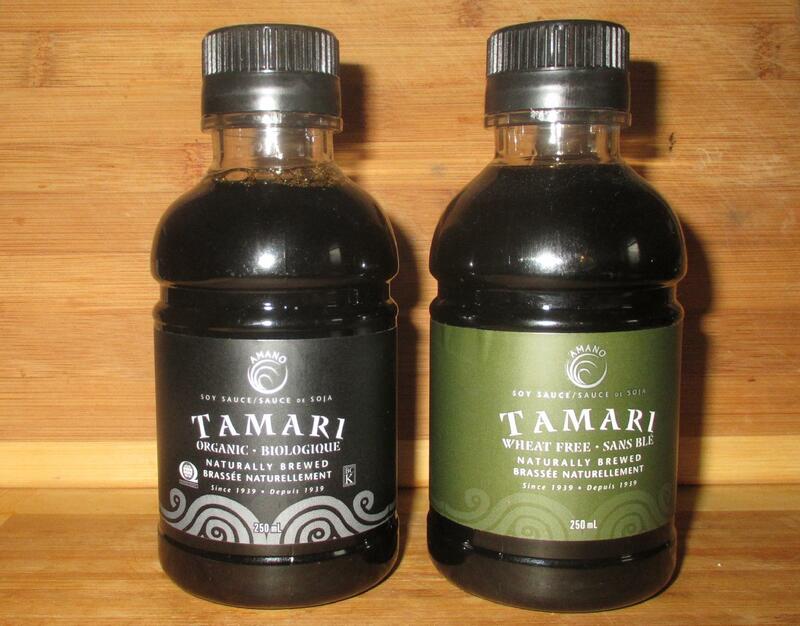 It is rather curious that both products are labeled as Tamari, because, as a general rule, regular Japanese soy sauce contains wheat, while the Tamari variety usually does not.